We are currently charging $290 in attorney fees for uncontested divorces without minor children and $390 for uncontested divorces with minor children of the marriage. To get the low cost uncontested divorce process started, you will need to fill out a divorce questionnaire. You can fill out one online by going to our questionnaire page and submitting one online or you can call the office and request that we mail or email you one to fill out and return to us along with payment of the attorney fees. If you have any questions about filling out the questionnaire or general questions about the intake process, then you can call our office at (205) 201-1789. If you have any questions about the divorce process or have any specific questions about your particular situation, then you can call and speak to one of our our attorneys. After the consultation, you would need to fill out the questionnaire and return it to us along with payment for the attorney fees. Once we have received the questionnaire and payment for the attorney fees, one of our uncontested divorce attorneys can call you to go over the information, counsel you, and answer any questions you may have before beginning any legal work on your documents. Once you are comfortable with us proceeding with your case, then our divorce lawyer will prepare your documents for you and will follow up with you for any additional questions or clarifications, particularly about your settlement agreement. Once the documents are completed, then we will get these documents to you along with instructions for you to properly sign, execute, and return them to our office (along with payment for the filing fee that the Court charges for your divorce to be filed) for us to file your fast and easy divorce with the Courts. In order to file your low cost divorce, there is a filing fee that varies from county to county and this fee must be paid to the Court when your uncontested divorce is filed. For example, the filing fee in a Jefferson County divorce is about $207 while the filing fee in a Madison County divorce is about $337. You will still have to pay the filing fee before we can file your divorce for you, but this goes to the particular County Court you are filing in and is not considered part of the attorney fees. You will need to send in this filing fee when you have properly signed and executed all documents and are ready for us to file your uncontested divorce. Our divorce lawyers are always available for free consultations over the phone (or in our office if necessary) prior to your sending in the questionnaire and payment. If you choose to send in the questionnaire and payment first, then one of our attorneys will contact you to go over it with you prior to preparing the documents to see if you have any questions. We are always available to help provide answers to all of your questions and to make the divorce process as painless and simple as possible. Therefore, as long as you and your spouse have reached an agreement, and there are no contested issues, then the uncontested divorce process can begin. If you and your spouse have not reached an agreement, then there is no need for you to fill out the questionnaire since your case is not an uncontested divorce. As long as there are no hearings necessary in your case, and you do not require a QDRO or deed, then the flat fee rate for a simple uncontested divorce should apply in your case. We do charge extra for this specialized paperwork, so please call our office for a further explanation of these additional documents. We will always counsel you prior to beginning any work on your case to ensure whether such additional document preparation will apply to your situation. We do not charge extra if you wish to resume the use of your maiden name in the divorce. If you would like to return to your maiden name, then we can put this in the divorce decree and it can be ordered at no additional cost to you. However, if you fail to inform our lawyers of this request and it is not included in the Divorce Decree, then the proper way, at that point, to restore your maiden name would most likely be through the local Probate Court. 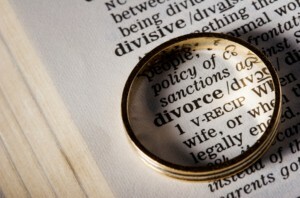 If you have any questions about the divorce process then call our lawyers today for a consultation.